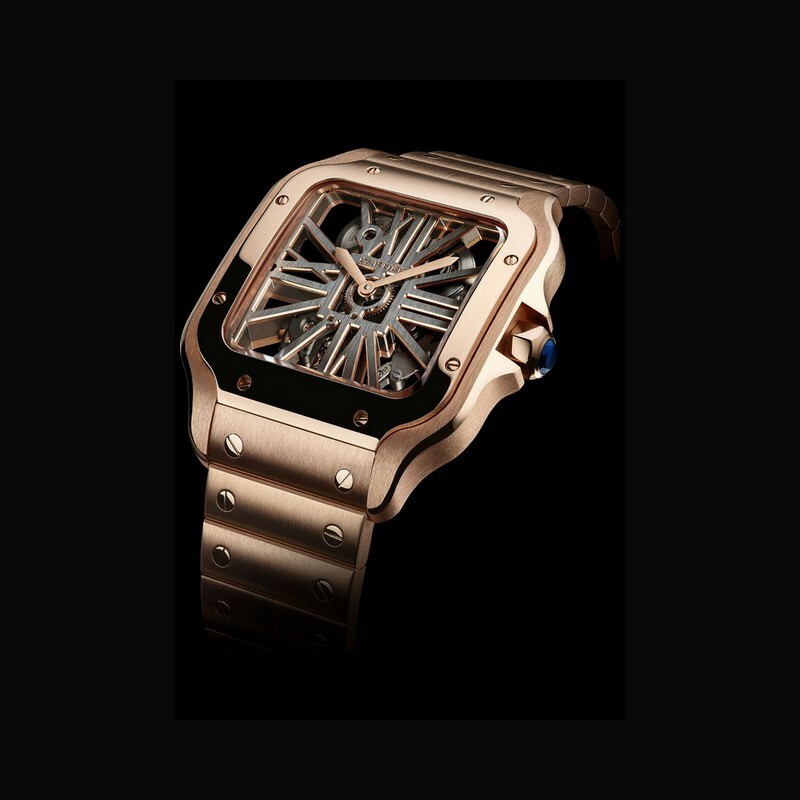 The Santos de Cartier watch is part of Cartier’s stylistic heritage. 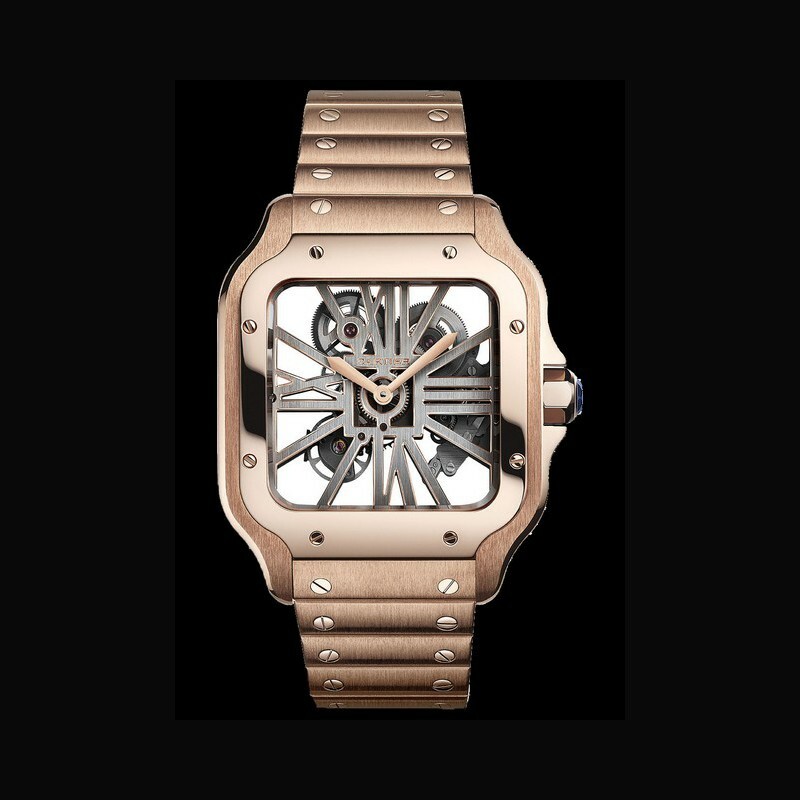 Since its creation in 1904 the innovative timepiece has kept up with the spirit of the age as the design has been updated with the passing decades. The latest version features self-fitting interchangeable straps. 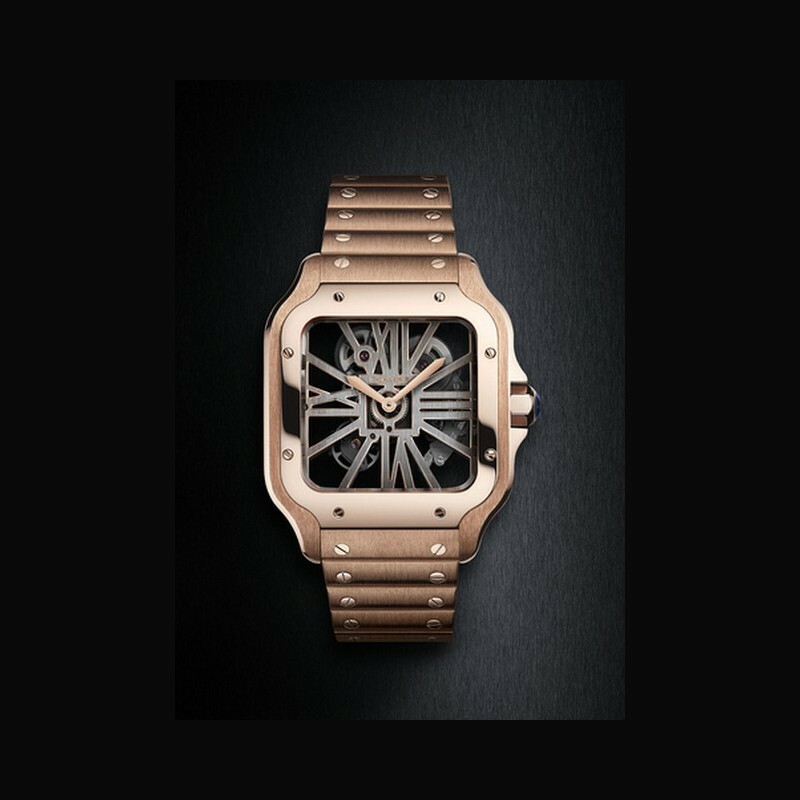 Available in steel, gold, calfskin or alligator skin, all versions are interchangeable thanks to the Cartier QuickSwitch system (patent pending) hidden under the strap, where the invisible mechanism blends into the structure of the case. To activate the system the wearer simply presses the mechanism. Another cutting-edge feature is the SmartLink self-fitting technology (patent pending) which adjusts the length of the metal bracelet to the nearest link without the use of a tool. 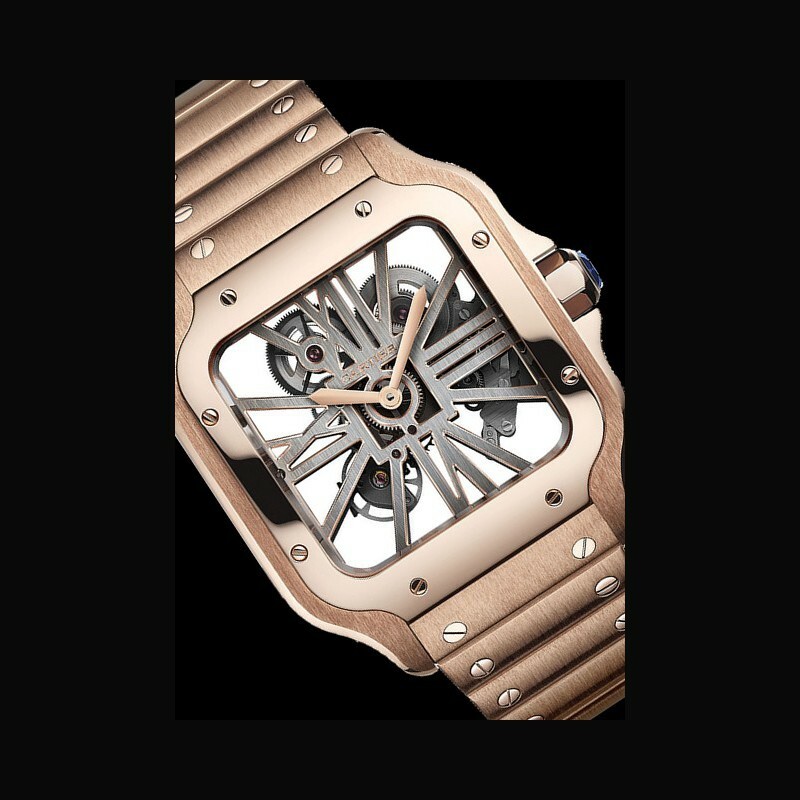 At the touch of a button located on each SmartLink, the attachment bar is unlatched and one of the brushed metal links with screws can be added or removed from the Santos de Cartier watch. 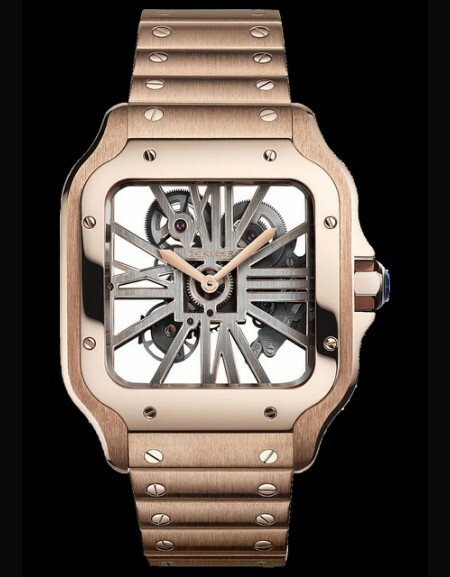 The tradition of skeleton watches at the Maison dates back to the 1930s. 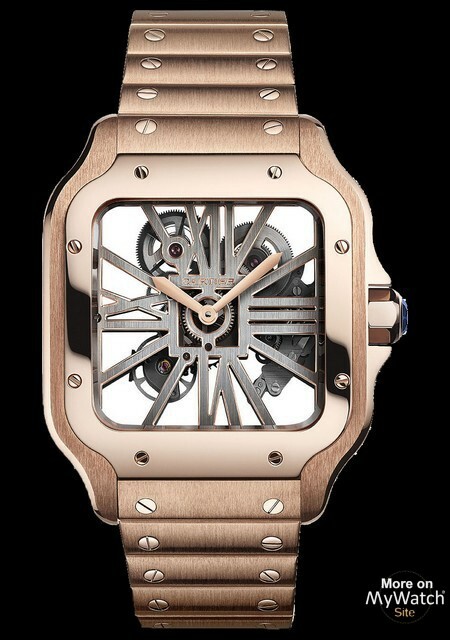 But the skeleton acquired the status of a Cartier signature more recently, with the creation of the Santos 100 Skeleton in 2009, which inaugurated the Roman numeral architecture. 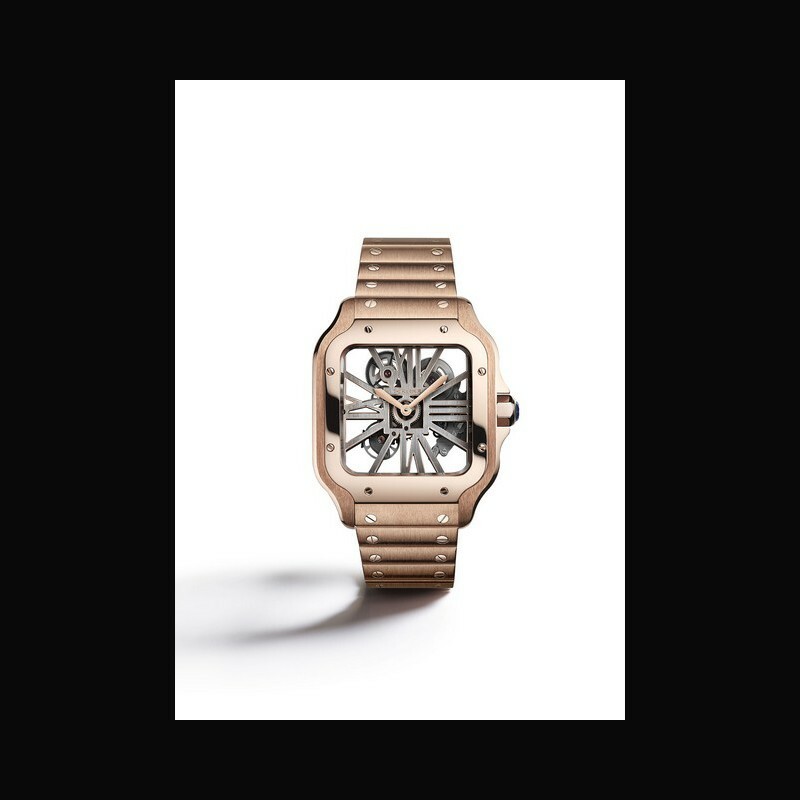 This complication of the Maison evolves today with the new Santos de Cartier watch. 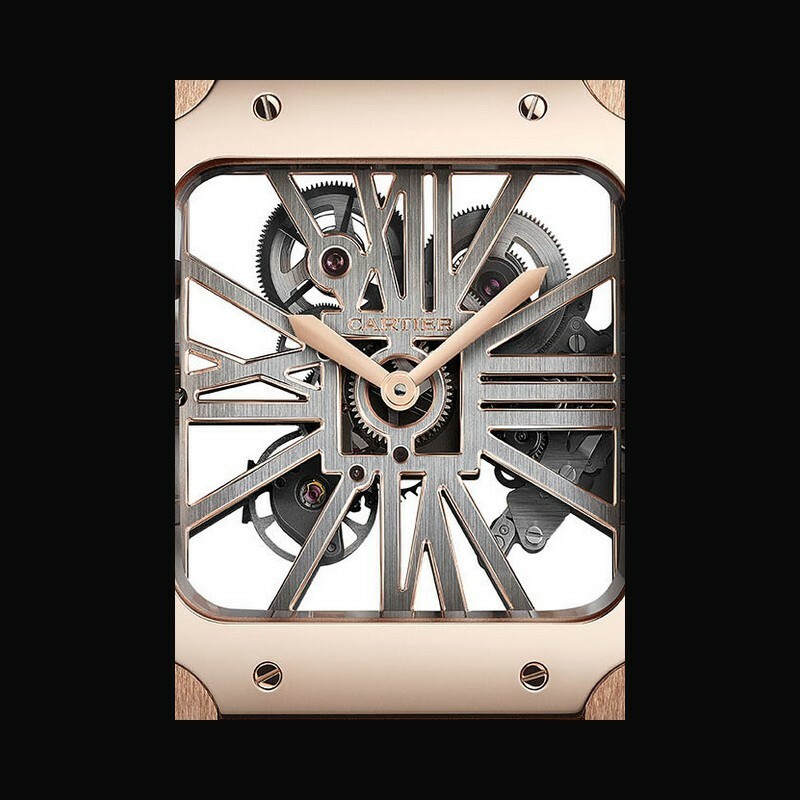 The instantly recognisable timepiece is protected by a patent that confirms Cartier’s position as the only watchmaker to create a skeleton movement with bridges that help to tell the time.